But by the end of 80s, principles were put to real test and people failed. Musicians called for Mehandi Raat were the same Dogra musicians, the same Jagrata crew but this time center stage was held by a woman. 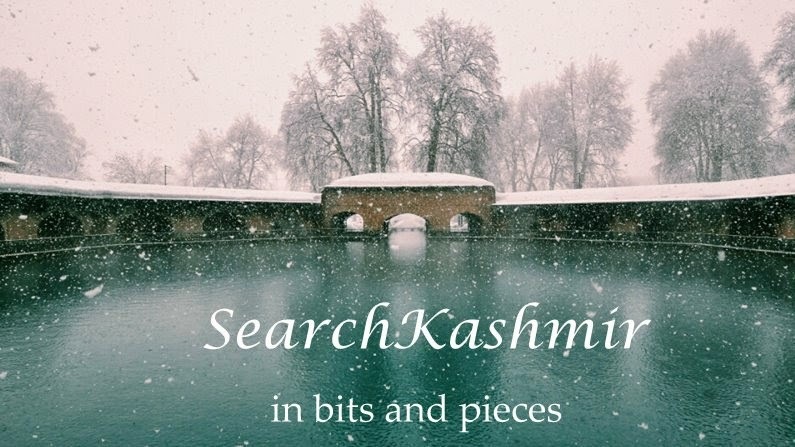 For a while it was interesting to watch a Dogri woman shuffle between Kashmiri songs, Punjabi songs, Sufi songs and film songs, trying earnestly to get some kind of mojo going, but after sometime it became a drag, after all this is not what one expects from a Menzraat. The woman left just before mid-night but before leaving she apologized to the host's old mother for her rendition of Kashmiri songs, 'Mataji Mujhay Kashmiri nahi aati. Try kiya.'. I remember Sunny Bhaiya from our Panjtarthi days in monkey infested old Jammu city. We were putting up in the Durbar Hall of some Dewan's Kothi. We divided up the hall into rooms and kitchen using bed-curtains. There were at least seven other Pandit families living in other room of the 'Palace', but all sharing one latrine. We had space. Sunny Bhaiya's family was living nearby. He was always full of life, never let his 'leg condition' dampen the spirit of something like Holi celebrations. He would come charging in, all painted red and green, ready to tear people's clothing on Holi. Next he sang a song about Kashmiri Pandit's and their loss of Chinar Shade, 'Ase Chu Rovmut Boonyi Shejar' or something like that. Everyone, old, was singing along, everyone was pensive. Next day, on the day of Baraat, I got into a light conversation with Sunny Bhaiya. I don't know how it happened but soon we were discussing massacres. 'It did happen. It was terrible. People did die,' intervened my Uncle's Dogra neighbor who must have overheard our heated discussion. It turned out Sunny Bhaiya spends a lot of time online fighting Kashmir trolls. Think Rediff forums, comment section of newspapers and Youtube videos. I tried to explain to him how actually fighting an online troll essentially makes a troll out of you too. On the day of reception, other guests arrived. 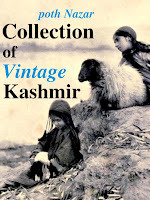 There was head of one section of Panun Kashmir and there was poet-writer-father-of-a-writer exilee. 'Come take a picture.' I was called to take a group photograph. Through the viewfinder I saw more than a dozen people. My uncle was with his colleagues (or should that be ex-colleague) from Kashmir. These were his old Kashmiri Muslim friends from work. And I counted a couple of women too. It seem the entire department had come. It was an open invite and all of them had come to attend the wedding of my 'Stupid-Liberals-Glory-Be-Our-Culture' Uncle's daughter, the youngest of my cousins, the last of them born in Kashmir. Among this group, I was able to identify at least one face from my memory of Kashmir. He used to visit our house a lot to meet up with my Uncle. This was my 'Stupid-Liberals-Glory-Be-Our-Culture' Uncle's best buddy from office. In case of Kashmir, this inverted part of the world, I think it would be better if people start preaching what they actually practice. Thank you for reading and for appreciation!